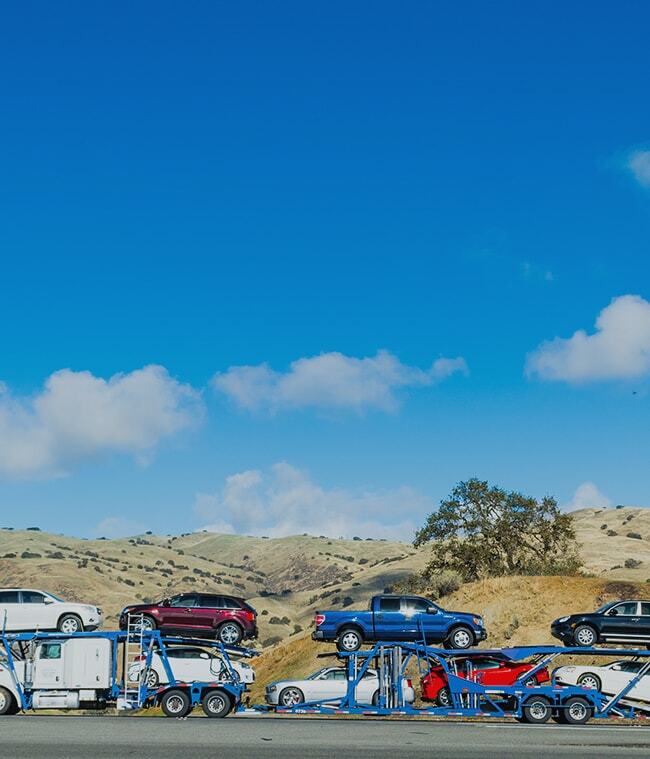 There are many reasons why people need car transport. Perhaps you own a car dealership, have purchased a car from eBay, bought a barn find or want to participate in a track day. Whatever the reason, Shiply can help you find the right transporter for the job. The range of transport companies on Shiply is enormous, with many thousands of registered companies specialised in different areas. Whether you need the cheapest possible price to get a car to the scrapyard, or have a Ferrari to send across the world, we can help. Shiply has thousands of vehicle transport companies that ship cars all around the world, so whether you are having a car delivered in the UK, Europe, or further, Shiply can find a suitable solution. All you need to do is fill out one simple car delivery quote request form and prices from transportation firms will be emailed to you within minutes. Prices on Shiply are cheaper than going direct to car transportation companies who quote the full industry rate. On Shiply, vehicle transport firms compete in a reverse auction to drive the price down by up to 75% off standard rates, giving you the best price. Many transport firms have completed thousands of deliveries, and next to every delivery quote on Shiply is the transport provider’s feedback profile where you can see customer ratings and feedback to get a good idea of service quality. Car transport cost per mile amounts do vary depending on the type of vehicle being moved, the mode of transport and distance transported. On Shiply you can expect an average charge per mile of £0.95/mile if the transport is more than 50 miles. For shorter car delivery requirements under 50 miles, the average prices will be nearer £2/mile. There are two main methods of transport for moving cars: transported on a trailer or driven by a professional trade plate driver. Having your vehicle driven is often the cheapest method, however it involves adding mileage to your car and requires a valid MOT. The car does not need tax or registration as it can be driven by a ‘trade plate driver’ where a special registration plate is displayed over the vehicle’s existing plates whilst being driven by a professional. With trailered car transporting there are several options. Single car transporters carry one car at a time, so tend to be more expensive. Multi-car transporters can transport several vehicles at a time, which keeps car transportation costs down and is useful if your car is not running, is not roadworthy or not legal. If moving a luxury or classic car, you may prefer a covered or enclosed service. This service is the safest as the car is protected from the elements and kept unseen. Transporting classic cars can cost more as these trailers tend to only carry one or two cars at once. If moving a vehicle overseas, there are car shipping companies who specialise in this and have relationships with large freight liners to transport your car by sea. They can advise you on the required procedures and shipping documentation, and often will help you complete them. The most secure but most expensive car shipping option is via a 20ft or 40ft shipping container, although some systems can reduce costs by fitting up to 5 cars in one container. Another cheaper option is ‘roll-on / roll-off’ (‘RORO’), where your vehicle is driven directly onto the vessel and secured. Regardless of how your car is transported, we recommend you verify the transporter’s insurance level is adequate for the vehicle’s value. You should also check your personal car insurance policy to check that your car is insured while being moved by a 3rd party. Documents: Make sure you have all your paperwork to hand, especially if you are distance-selling. Clearing: Remove accessories and valuables from the vehicle as these are unlikely to be insured. Secure or remove anything that could come loose during transit. Running condition: Make notes of the vehicle's performance prior to transport. This will allow you to spot any changes when the move is completed. Make sure fluid and fuel levels are adequate if the vehicle will be driven during the delivery. Cleaning: Cleaning your vehicle will help avoid damage caused by dirt rubbing the paintwork and it will allow you to more easily notice any scratches or scrapes that occur during the vehicle delivery. Evidence: Taking photographs before your vehicle is transported is a great way to prove any damage was incurred during transport. Many firms on Shiply have vast experience and have transported thousands of cars, and your chosen transport company will be on hand to help you with any queries or concerns. Vital signs: Check that all important functions are as you left them: Lights, engine, brakes and any special functions unique to your vehicle. If you bought your vehicle online or from a car dealership then check that everything is as described. Mileage: Has the car travelled the expected distance? If not, raise this with the transporter. Paint: Check for damage against photos taken before transportation. Shiply is built on trust with company profile pages available to browse when choosing a car transporter. When your car delivery is complete, remember to leave feedback on your chosen company’s profile page. This helps future users of the site make the best decision when arranging their car transport.